Where can we get more people who consume what we’re producing? This covers your bases of traffic, page views, visits, uniques, returning visitors, loyal visitors, subscribers, supporters, sharers, commenters, etc. More and more, the answer is readers who are looking for news from search engines. And of course, the king of search engines is Google. So, news publishers are looking for the latest Google News search engine optimization, or SEO, tips. Another thought to consider: As Rebecca MacKinnon wrote in the Washington Post, “Two-thirds of people surveyed last year in 28 countries for the 2017 Edelman Trust Barometer expressed low levels of trust in ‘mainstream institutions’ of business, government, media and nongovernmental organizations.” In 2016, the Edelman report found that over 60 percent of those surveyed trusted Google News as a source over the individual publishers who create the articles that are displayed – which means for some digital news consumers, ranking in Google News and the search engine results pages, or SERPs, is possibly the only way news publishers will reach them. Overall, this article will show you how to optimize your news site and articles to perform well– leading to increased Google visibility. Found at both news.google.com and as a tab in Google’s search engine results pages (or SERPs), this is the “homepage” of news in this search engine. A completely redesigned version of Google News was released in mid-May 2018, after being announced at Google’s I/O developer conference earlier that month. 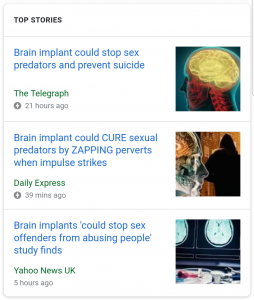 Google’s algorithm also decides on the news topics (or keywords), and of course the individual articles that appear for each topic, in each category, at any given time. In addition to deciding the publishers, topics and articles that make up Google News, the search giant decides how it all will be organized for search users. One particular point of annoyance for publishers: There is no politics category, with those topics instead sprinkled through Top Stories, U.S., World and Business. Top Stories aka Headlines – As the default category, the assumption is this category gets the highest traffic and therefore click-throughs. Because it’s made up of what Google judges to be the most important topics, it’s probably the most competitive category. It is often dominated by the largest and most general-interest publishers. Personalized categories – These tabs are populated by the topics and publishers that a signed-in Google user has read and/or selected. Local – This category has moved from a separate tab. Search users with their location services turned on have the option to check on local news, usually from the nearest metro area. If your coverage focuses on a certain geographic area, this could be another traffic opportunity. Others – The rest of the categories (as of the June 2017 redesign, at least) are World, U.S., Business, Technology, Entertainment, Sports, Science and Health. Some of these are of greater interest to verticals and more niche publishers. Some of the categories are more niche, and therefore it’s much easier to build up visibility in them. One example is the Health category. Picture ranking – Usually only the first article under any topic. Having a visual element automatically improves visibility and therefore click-through. Video ranking – Headline link leads directly to a video on YouTube, marked with a video icon next to the publisher. Text ranking – Headline only. Full coverage – From each of the story or topic cards displayed on the category pages, you have the option of selecting “View full coverage,” which will open a new screen with a more in-depth look, including more stories, videos and other interactive features. According to Google, the Fact Check label “identifies articles that include information fact checked by news publishers and fact-checking organizations.” As with Google’s other news-focused programs that it sees as useful to search users and publishers, participation does give you brownie points. These stories are displayed on the right side, about halfway down the page. Google has also developed a Spotlight section, which seems to have replaced Editors’ Picks and favors “explainer” and more contextual articles. In addition to Google News, publishers should also try to appear in the news-related ranking types in the organic Google SERPs: News Boxes (labeled Top Stories, also called One Boxes) and Video Carousels on both desktop and mobile, as well as mobile-only rankings such as Publisher Carousels. While a publisher’s articles can appear in the News Boxes and Publisher Carousels even if they are not ranked in Google News – this has been confirmed by Google’s John Mueller on Twitter – the majority of rankings are from indexed publishers. Using the News Dashboard to analyze German Google News and SERPs in October 2017, we found that 92.2 percent of desktop News Box rankings and 93.2 percent of mobile News Box rankings came from indexed publishers. So, while you can get into the News Boxes without Google News ranking, you’ll miss out on the Google News traffic opportunities as well as a vast majority of the positions available in the News Boxes. Since these ranking types appear on the SERPs that all search users see when they “Google something,” they are an even higher traffic referral opportunity than ranking in Google News. They can appear in any position on the SERP, and not all keywords have News Boxes at all times. Individual articles only rank in one position at a time within each ranking types and can stay there for a matter of minutes or for a whole day. Articles can also “drop out” (no longer rank in the News Box) at any time, but can always rank again later, and repeat this process more than once. The desktop News Box used to be fairly uniform across the SERPs, with three possible ranking positions. However, more and more desktop News Boxes now have up to 10 positions (more like the mobile News Box), which you can scroll horizontally through using an arrow. There are three distinct news-related ranking types on the mobile SERPs. News Box – This is the mobile equivalent. While almost all mobile News Boxes have both a headline and carousel portion, the size of both is not uniform. They usually include one or two text headlines, with the headlines most often above the carousel portion. News Carousel – The carousel is made up of “tiles” similar to the positions in the Desktop News Box, but there are usually nine to 10 positions available, and you can scroll through the positions horizontally. AMP – Mobile News Boxes are separated into Accelerated Mobile Pages and those that aren’t. The main purpose behind AMP is ostensibly to speed up the Internet. The reality for news publishers, though, is AMP makes advertising difficult, and requires further development. While Google has said AMP doesn’t influence rankings, News Dashboard data shows that somewhere in the 80-90 percent range of mobile News Boxes/Carousels are AMP in the U.S. Publisher Carousel – The remaining news-related ranking type looks a bit like a News Box, and is sometimes also referred to as a single-source carousel. Instead of the top headlines, there is a main headline (usually for a landing page) and a page description at the top, followed by a carousel – and every article is from the same publisher. There are fewer Publisher Carousels on the SERPs than News Boxes, and are traditionally located on SERPs for sports and entertainment keywords. Now that we have an understanding of the news-related ranking types that appear in the organic SERPs, we can move on to increasing visibility in Top Stories/Google News Boxes, which will in turn increase search traffic from Google News. Publishers must go through an approval process to rank (or appear) in Google News. After you’ve submitted your application, Google performs a manual quality approval, and you’ll be notified in approximately one to three weeks if your site has been approved. Set up your Search Console and Google News Publishing Center account/Google News Publisher Center account. This is will also be your starting point to check for any Google News errors or problems. Review the general Google News index guidelines and the technical Google News index guidelines. One of the most common reasons a website is rejected from Google News inclusion is on-page sales/e-commerce. Submit your application via the Publisher Center, and check back for updates to your status. If you are rejected, you can apply again in 60 days. Don’t forget that what Google gives, it can take away. If Google determines that you aren’t following its guidelines, it can lower your ranking in the SERPs, or even remove your entire site from Google News. The best way to avoid Google penalties and ultimately de-ranking: Be careful about employing black-hat SEO tactics, and carefully monitor both your Publishing Center and Search console for any errors or manual actions. To contact Google News about problems, go to Contact Us on the Publisher Center and check out the Google News Publisher Forum. If your standard sitemap is properly set up, Google’s crawlers should be able to correctly crawl your website. It is a best practice, however, to implement a news sitemap in the Search Console following Google’s guidelines and submit it. And if you’d like to get deeper in the weeds about Google’s crawlers vs. indexers vs. query engine, it’s worth checking out Barry Adams’ explanation. Perhaps the most familiar type of news publishers, most national and local newspapers fall under this category, along with news TV and radio channels. Within the geographic space they cover, these publishers report on most if not all of the Google News categories. More and more, though, even general interest publishers must find their niches to establish loyal (and paying) audience, resulting in a Washington Post focused on politics and a CNN covering world news, for example. Many publishers focus on their niche – which can range from all of business and sports to just one football team or just Android phones. Verticals naturally have the greatest chance to rank and therefore get search traffic from the keywords and categories within their niche. It’s important that verticals focus on establishing themselves for the topics they find most important to rank for, as establishing yourself as an expert is a signal Google uses in its news ranking factors. Expertise in more niche topics (for example, iPhones) could also give a publisher a greater chance to rank for a more general term (like smartphones). There is an argument to be made that having a paywall or subscription model on your news site will reduce your overall click-through and visibility in the news-related rankings and Google overall. However, Google continues to work with major publishers who have paywalls to include their content in search. The newest charge along those lines is the change from First Click Free (FCF) to Flexible Sampling. Within this scheme, publishers have the choice of “metering” (limit the number of articles a search user can see over a period of time without being a subscriber) or using a “lead-in” (limit how much of each article a search user can see). If you employ a paywall on your website, think carefully about which method you want to use, and that it meets Google’s guidelines. Also mentioned in the Google News technical guidelines, make sure you’re coding your website with the correct structured data or schema for each element. In addition to a proper news sitemap, this will allow Google to more easily and completely crawl your articles. There are a few common triggers of lower search visibility in Google News. In addition to the balance of content vs. ads on your page (hint: your article should take up more space on a given page than the ads), Google News will penalize websites that have advertising that pop up in front of what users are trying to see (ranging from text pop-ups to newsletter sign-ups to video auto-play ads) and is otherwise intrusive to the news experience. Plan and implement with care. 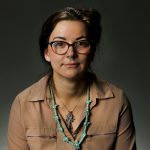 When you’re selecting a CMS and/or a WordPress theme, ideally you would choose one specifically design for news, whether it’s created in-house or OOTB, such as the Washington Post’s Arc. If you’re using WordPress, there are also Google News WordPress plugins available. Like all Google algorithms, we don’t have access to the full list of factors. And even if we did, it probably wouldn’t include the weight of each. Below are the top factors you need to worry about from a news publisher point of view. Much as a media-literate reader would, Google looks for cues that a particular news organization/website is trustworthy. Legacy publishers have the clear advantage here, with domains that have been around for 20-plus years. Reputation is a bit trickier – while debating the partisan leanings of news channels is now the actual content of those channels – Google is measuring it more. Again, like (we hope) a good news consumer would, Google considers if a publisher’s mission statement, bulk of articles, listed categories and expert employees coalesce around certain topics. When they do, the publisher’s articles about those topics will get that much more of a boost. A quick example: If a sports publisher writes an athlete profile and a stock report, Google will immediately see that one fits its expertise over the other, and the profile will most likely get more of a boost. This is really a subsection of expertise. If you’ve ever searched for a tragic event somewhere else in the country, you may have seen a smaller news organization from that geographic area rank above international news powerhouses in the SERPs. That’s because Google does take local knowledge (and domain credibility and reputation) into account. Ultimately, you can think about Google News considering two things while ranking the articles about each news topic (keyword): How many people are clicking on the article (CTR or click-through rate), and how fresh is the article (when was it last published or republished)? Because news can change up to the minute, continuous coverage is key not only to ranking, but to keeping those rankings over time. Obviously in a breaking-news or developing situation, publishers are working on basic who, what, where, when, why and how updates. For more stable news topics, frequent updates will usually take the form of writing novel angles or perspectives about the keywords, such as analyses, context pieces, timelines, profiles, editorials and opinion pieces, and so on. We’ve talked about how it’s important for news websites to publish often about the news topic that they are covering. But what are the ideal times throughout the day to publish; and more specifically, for articles in a certain category or about a certain topic? Who are your key audiences? Traditionally they are the following, which can also be separated into desktop and mobile, with mobile being further separated into phones, tablets, voice-search devices, and so on. Direct (go to your website), app. Social – can be separated by platform. Search – can be separated by search engine, and what we’re focusing on here. When is the search audience you either are already reaching or want to reach online and searching, or in other words, when is my key search audience active? Mobile audiences are most active in the morning (before work/during the commute) and in the evening after work and dinner, as well as weekend. They are more likely to read leisure content – sports and entertainment. In general, mobile makes up around 50 percent of overall traffic and is on the rise nearly everywhere. Desktop traffic peaks during the day – while people are at work – and focuses more on “serious” news such as economy and politics. To get more specific data on your search audience overall, you can use a number of SEO tools. But don’t stop at using the analytics to reveal the best search times so far – continuously test and check for changes as well as more specific differences for different types of articles, about different topics, and so on. Also known as the news topic, the keyword from a news perspective is the word or phrase that people are searching for a news article about. The keyword is in fact the “key” factor to get your articles ranking in Google News and news-related ranking types, as both of them are arranged around these keywords. Once you’ve decided what you want to write about, you need to consider what the best keyword or keywords are about that topic from the news perspective and from a search volume perspective; what kind of keyword they are; and where you should place them. What do we mean by headline – When discussing the headline in this article, we are referring to whatever headline field each publisher is using toward Google, which will differ from publisher to publisher. However, make sure that whatever headline field you want Google to use – is the one Google is using! There are of course many factors pulling on reporters and editors as they put stories together. Headlines can be a special area of tension, because the wisdom is that one headline must appeal to search audiences with keywords at the front and all the facts, ma’am, but at the same time the headlines should be narrative and a tell an emotional story without being weighed down by proper names for the social audience. Obviously, it’s nearly impossible to make a headline that meets both perfectly without it being as long as the article itself, which will harm you on both platforms! This again goes back to making sure you’re in tune with your key audiences and what topics and articles should be primarily targeted toward search vs. social and so on. Some publishers also deal with this problem by adding different headline fields to their CMS that display in different places, namely the page title for search and the article headline (H1) field for social and the article page. Yet other publishers acknowledge that the difference between what search and social audiences want to see goes beyond the headline, and they will write more than one article about a topic and aim one version – such as timeline or “explainer”-type piece – toward search, with another version toward social. One last point to keep track of as you add keyword after keyword: Google does have a maximum headline length it will display for organic links on the SERPs. It last changed the maximum length of article titles in 2016 to 70–71 characters. Headlines in mobile elements (News Boxes text and carousels, Publisher Carousels) have the same maximum character length as organic links, 69-71 characters. Desktop News Boxes – 20-25 characters available for headlines. Google News does not shorten headlines, no matter the length. Another approach to measuring how much of your headline (and meta description) will appear in the SERPs is measuring the pixel length. This calculator from Search Wilderness pegs the maximum at 600 pixels (or about 55 characters) and can check anything from one title to a CSV file. So, the question becomes, is there enough displaying to interest a search user enough to click on the article, even if they can only see the part of the headline that fits? This concern should override any character limit. Unsurprisingly, most keywords are (or are about) proper nouns. Below are some tips about each. Person – When the keyword of interest is a person’s name, the question is: Use their full name, last name only or a nickname? This depends on how the person is known to the public, as well as what keywords people are using to search for news about that person. The best and most thorough option: Use a full name. A subsequent keyword problem you might face: If the person was not previously famous, when you switch over to their name. Here’s an example from Arizona: the Jodi Arias murder case. Arias was convicted of murdering her boyfriend, Travis Alexander. During a protracted trial, Arias became a celebrity of sorts, so news organizations who were earliest in using her name as a keyword in headlines had already built up “expertise” on the keyword, before most publishers were using her name as a keyword at all. In other cases, the name of the victim becomes the top keyword associated with the trial, such as the Ame Deal case. Place – Some news events are more focused on a place. Consider whether your search audience is more local (to the city, county or state) and would be familiar with town names and landmarks in a headline; or if they are more national or international, and might search for “southwest U.S.” or “Arizona city” when they are looking for the city of Phoenix. Event – And sometimes the keyword in question is a specific news event, for example “missile test.” Again, consider what words and context your search audience has when searching for your articles. While news articles do not often include the black-hat tactic of keyword stuffing, it’s still worth taking a quick stock of where and how many times you’ve used a keyword in your article. You might also consider using a few related keywords – whether you again use a keyword volume or research tool, such as Google Trends, to find them – to your main keyword throughout the text, as well. As of February 2018, Google says it’s stopped supporting the Google News meta keywords, according to Search Engine Land. Though we’ve touched on it briefly, at this point, you might be wondering: Now that I know where to put my keywords, how do I decide which keywords I should be using? There are two overall methods: Find the keywords that are “trending” or popular in search and write about them, or find the best keywords to use for articles you are already writing. Most publishers employ some of both. Use internal analytics to answer the following question: What keywords and stories are you getting the most search traffic from already? And how can you take advantage of this information to create keyword lists you can use to write more content? Don’t forget to also look at the internal searches using the search field on your website vs. external searches that bring readers to your website. In addition to overall analytics tools, there are specific tools just addressing SEO. Mainly, they track keywords with the most search volume overall, as well as what keywords and articles a publisher is visible in search for. While more general tools are not often a good fit for news publishers, the News Dashboard is a niche tool focused just on this sector, with a near-real-time crawling interval as well as a focus just on Google News and the news-related ranking types. Specifically, the Missing Topics report – in the Action View of the News Dashboard – shows the keywords that are not indexed, or connected, by Google to a publisher’s articles (that are not older than 24 hours). Publishers can use this report with a list of keywords from Google News, or keywords they enter themselves. If you’re either looking to write about trending keywords or looking for related keywords for the text of your article, this free Google tool is a good place to start. Monitoring the pulse of social media is generally helpful for news gathering, and many times the keywords or articles that are trending on social media will also be similarly popular in search. If you have the article competed before you’ve found the keywords, you’ll need work the other way. Analytics programs – Again, you can take advantage of internal analytics and SEO tools to find the keywords that most relate to your article. “Newsroom sense” – Don’t discount the keen sense you develop, working in the newsroom and with words, for how people will try to find information. You can usually brainstorm a list before or during your writing process, and refine it using the aforementioned tools. Ultimately, the point of SEO and search visibility is not to be visible to Google – it won’t ever subscribe to your paper, buy a membership, become a loyal and engaged reader, or share your journalism on its Facebook page. You’re really trying to reach the readers on the other side of the search engine, so you need to pay attention to how they’re interacting with your articles. While the keyword the user was looking for was in your headline, the story is not actually about that keyword. You employed a “clickbait” headline. Don’t try to fool readers with a headline that promises a story you don’t have. It’s fine to have a flashy headline that encourages clicks – as long as your story delivers on that promise. Your story is “old news” – the user has already read this article or something similar. The user was looking for a certain publisher. CTR (click-through rate) – Immediately backing out of an article on Google News or the SERPs is not a good user experience. And because Google cares about the user’s experience and wants them to return, it considers not only click-through rate (CTR) into an article is ranking, but also whether the user who clicked spends significant time in the article, and whether they click into other articles on the same Google News page or SERP. Quite simply, once you do all the work to rank, don’t undo your work by creating a high bounce rate. Again, Google has not officially announced a specific article length a ranking factor, but by monitoring the articles that rank, we can give a couple of guidelines. 50-80 words at least for breaking news that you’re planning to update. For a planned article, especially an article that might be of interest to search users over time, you need at least 250-350 words. In the current online and news climate, fake news is discussed at a frenetic pace. Google has instituted a few programs to fight non-factual news, including Project Owl and the Trust Project. You can read more about becoming a partner. But publishers should be aware of a possible darker side of putting the burden of media literacy and filtering out fake news on Google and Facebook vs. news consumers. Some websites have already leveled claims of search bias against factual information as part of the fake-news clearing. Others have also warned that gatekeeping around fake news could expand into deciding what is news at all – although yet others would say we’re already there, with services like search engines. Often a topic of contention in SEO, if you should republish an article vs. publishing a new article, and in what circumstances you should republish have vexed many a newsroom. Again, based on a combination of data we’ve gathered with the News Dashboard and general observations about Google’s behavior and algorithm, continuously publishing and updating/republishing articles is one of the main ranking factors Google News appears to consider. to only republish an existing article with a new timestamp (as Google determines an update with a publishing date/time) if there is a significant change or update to the news in the article. You could also employ a “live ticker” or live blog format, where you clearly label an article or landing page as live, and have reporters or editors contributing updates with new timestamps multiple timers per hour, for example. This is often used for a breaking-news situation, entertainment event or sports game. Add a search-optimized headline: proper nouns, keywords, shortened to fit search character counts. Add meta (Google News) keywords on the backend. Add the main keywords or related/context keywords to the article text. Add links to related content – either in the article text or before/after it – from that publisher to show authority/credibility. Add photo or video elements. Then there are “black hat” tactics, or flagrantly disregarding the guidelines to make an article or website as attractive to Google News as possible while ignoring the actual value of the article to the search user. This would be resetting the date and time only on an article to “trick” Google into thinking you had more/more continuous updates to rank higher. The upside of AMP to search users and readers is fast load speeds. The downside of AMP to news publishers, of course, is the limited options to placing advertisements and other monetization on the page itself – although some OOTB and new options have been popping up. There are also concerns about problems tracking AMP properly with existing news website analytics programs. 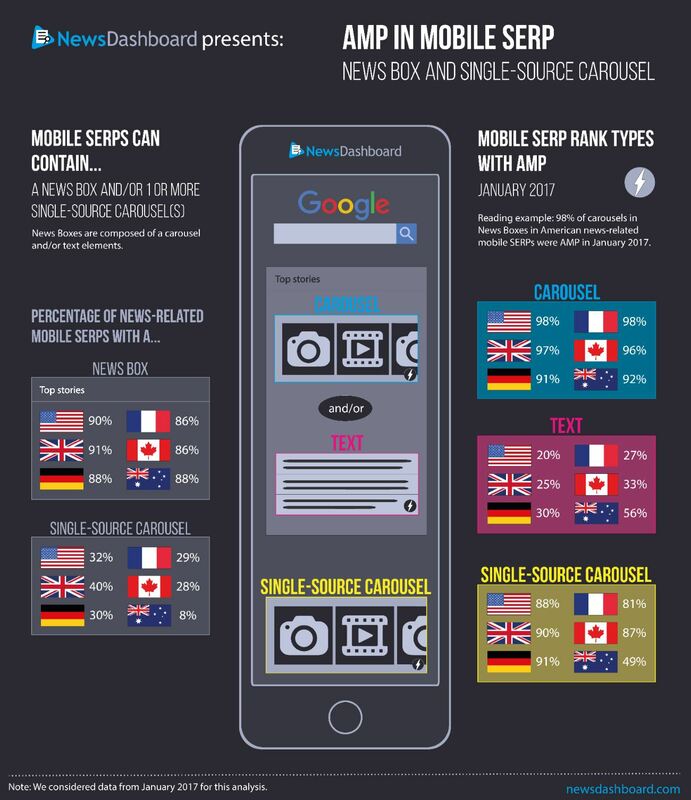 Any of the mobile news-related ranking types – mobile News boxes, including text and carousel portions, and Publisher Carousels – can be AMP or non-AMP. If your news organization or website is ready to take on AMP, there are a couple of key things to remember. Read the AMP on Google Search guidelines and follow them carefully. Use this AMP checker on your pages as you implement changes. Make sure you’re showing full content comparable to the canonical page, or you’ll face penalties. The mobile equivalent of the desktop News Box (and also labeled Top Stories) these are split into the two portions described below. As mentioned above, both portions can be AMP or non-AMP. Mobile News Boxes generally begin with one or two “text” rankings, which are just headlines. While they are at the top of the News Box, the Carousel spots below that contain a picture are generally considered more visible and clickable. While they consist of the “tiles” of picture and headline just like the three positions in the desktop News Box, the mobile Carousel generally has nine to 10 positions, and you can scroll through it horizontally using your finger. Being positions before you scroll across is obviously preferential. More rarely, a mobile News Box can be made up of one or more text with picture rankings, without a carousel. A subset of mobile news-related ranking types. They can both be AMP or non-AMP. Part of the mobile News Box, the section with the photos. Similar to News Boxes, but they generally only have one text ranking above the nine to 10 position Carousel, and all of those articles are from a single publisher. Publisher Carousels are generally associated with entertainment and sports keywords. Searching the name of a publisher will almost always bring up a Publisher Carousel of their latest articles. As publishers went about designing their websites for the best mobile experience, some maintain mobile version (m.dot) and desktop version of their website, while others maintain one responsive website, where the features are all mobile-compatible and the website automatically rearranges itself for the best experience possible on the screen size a website visitor is using. 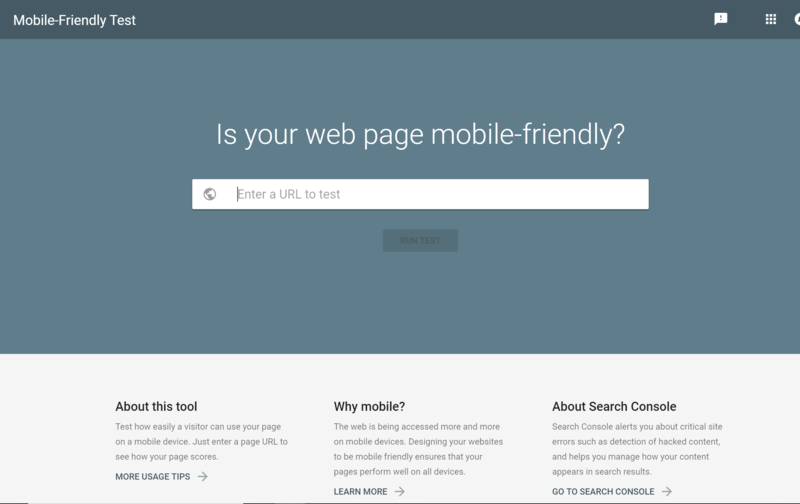 If you need to take stock of your mobile presence in light of Google’s implementation of the mobile-first index, here’s a short guide on how to perform a mobile SEO audit. Next on the horizon: How to best get mobile traffic to your articles – via your responsive website or news app. It’s worth discussing in your newsroom now. Much like the AMP checker, Google has a free tool to preview how its crawlers are seeing your mobile pages. Even before we were talking about how digital audiences prefer video, they first preferred images. Not only do online readers expect crisp, interesting images with all of your articles, Google expects them if you as a publisher hope to attain top rankings with your articles. Make sure to use proper formatting on your images, which includes image size and resolution, both of which can have a severe impact on page load time. Familiarize yourself with image compression and CDNs (content delivery networks) – both of which are mentioned in the guide from Google below. Unsurprisingly, Google has guidelines you can refer to for images, as well. Once you have your formatting bases covered, make sure to use the proper tagging and alt text that Google expects in all images. And this isn’t just to keep the search giant happy – Google demands it because search users, especially those with visual disabilities, demand it. The popularity of video in search and social increases every year – ignore it at your own peril. The biggest trouble news publishers might encounter with video is all articles are videos with one or two sentences underneath. This is less text than Google requires for most rankings – Google News and the news-related ranking types – so make sure you’re also designating resources to writing about the topic. Much like images, Google has guidelines that you can refer to. Interestingly, they also suggest start your own YouTube channel (whether this has anything to do with their ownership of YouTube, only they can say) and submit it Google News, which has been increasing the visibility of videos on that platform. It can never hurt to keep up with what’s on the horizon (or just about here, as is the case with voice search). As ownership of “home” devices such as Alexa and Google Home goes up, this search environment will become more and more attractive to news organizations. You can read more about what kind of news users can get from their Google Home devices to help spark discussion and ideas about how your publication and articles can address this growing search trend. One key takeaway to remember so far: It’s time to start making news headline and articles answer the search user’s question, vs. providing a mountain of information. We’ve covered the fundamentals in the news SEO guide: Google News and news-related ranking types in the organic SERPs; how to get your website listed in Google News; news sitemaps; website and data structure; news ranking factors; keywords and how to find the best ones; republishing; mobile; and pictures and video. While optimizing your website and articles for the best possible rankings is not the easiest undertaking for a news publisher, it’s definitely worth it – and we hope these Google News best practices are helpful on the journey there. As publishers increasingly see more traffic coming from search than social, awareness about search and best practices becomes more and more critical. there anything in this outline you think is wrong or you don’t understand? Have a Google News and news-related ranking topic or question you would like us to cover? Please send it to service@newsdashboard.com, and we’ll get back to you. And if you’d like to read more about Google News optimization, analyses from our tool and news SEO, check out the News Dashboard blog. And if you’re ready to take the next step in your Google News optimization, consider starting a demo of the News Dashboard today.